It's hard to share any thoughts right now that aren't about news stories of children separated from parents at the border or young boys shot in the back in their hometowns because they are out after dark and they are black. Or massive cuts to Medicaid, national parks destroyed, school shootings...I don't consume an extraordinary amount of news, but it still feels overwhelming and dire. 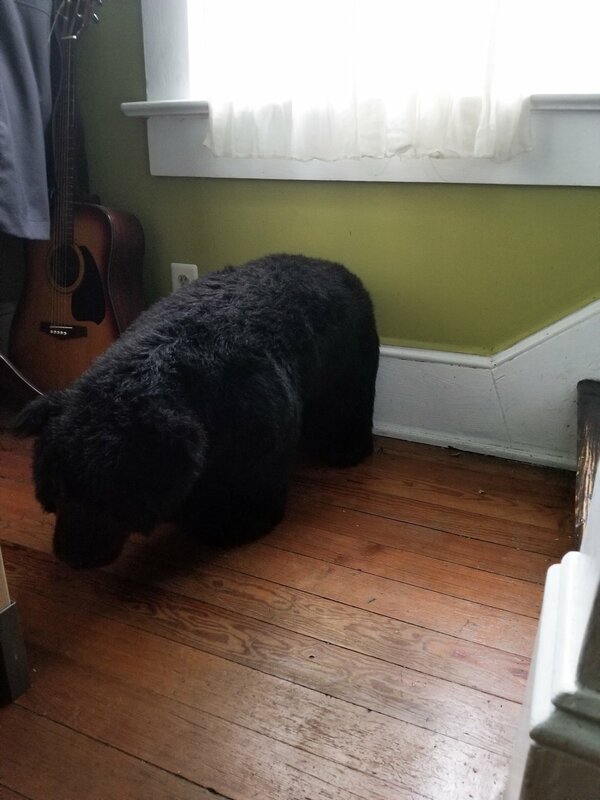 Our neighbor gave us this giant stuffed bear. Someone had given it to her as a gift and she kept catching peripheral glimpses of it and forgetting that it wasn't alive. So now it's in our house and gives me a mild heart attack several times a day. But the heart palpitations are comforting, because every time I experience that sudden shock of something being wrong and unsafe in my environment, I am soothed by the realization that there's nothing. For now, in this moment, I am safe and can laugh at the absurd fear of there being danger right beside me. Is this part of why people like horror movies? The relief that it isn't real? I haven't considered that before. I have never been able to tolerate that level of provocation, my adrenal system on too-high alert from early life stress, my startle reflex unpleasantly overactive on an ordinary day. So, a giant stuffed bear is just the right amount of immersion therapy for me and reminds me over and over to appreciate my relative safety and the peace in my home. Although these days probably nobody is really taking those things for granted anymore.